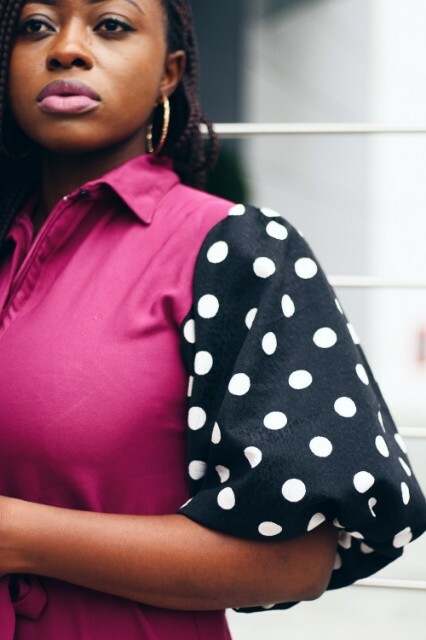 Polka-dot prints were the hottest trend this summer as we all may have noticed. I'm not sure why or how but there was just something about them. And I'm not one to complain because I love the polka-dot trend, it's so classic and timeless so why not. 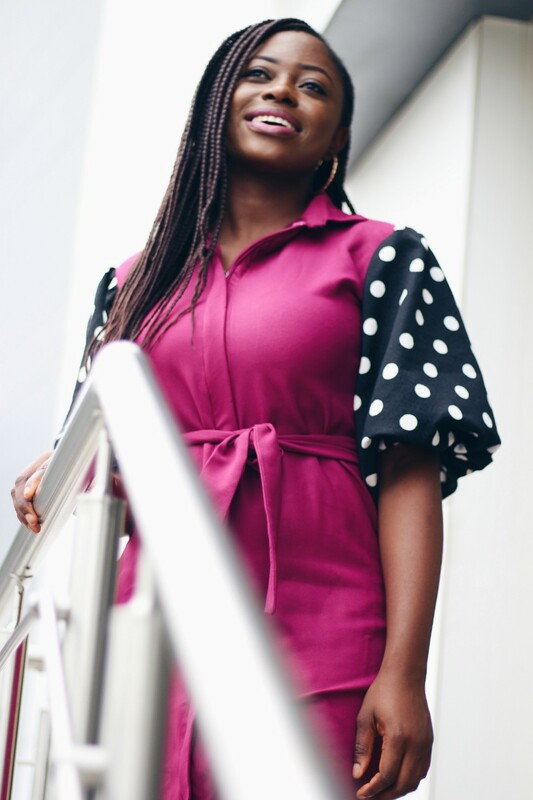 We're still on Made in Nigeria and today's dress featuring polka-dot puff sleeves was made by House of Loocz, a Nigerian brand that makes modern workwear clothing for women. A quick glance through the designs of the brand, you'd see tons of work-friendly pieces. 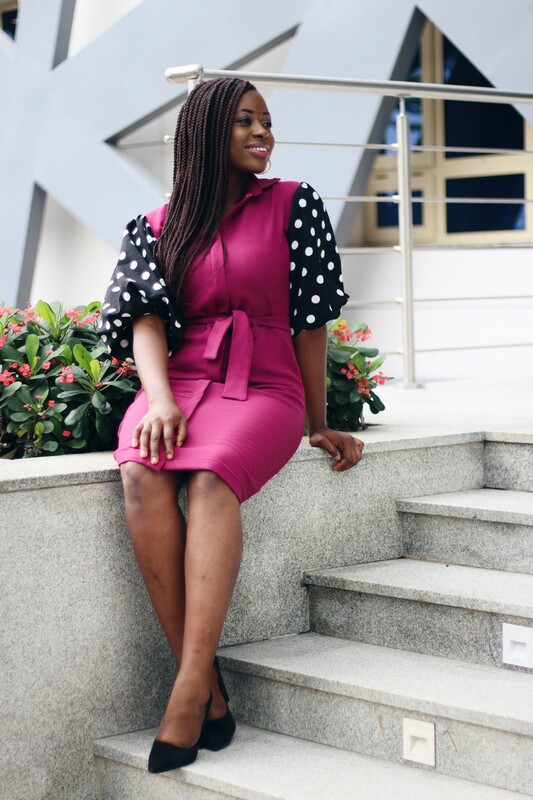 What I love about this House of Loocz dress as you've probably guessed, is the polka-dotted puff sleeves, the fabric used especially for this was amazing, I actually imagined a dress made with it, how lovely would that be. I love how the pink contrast of the dress to the dotted sleeves and the added sash to cinch in the waist. The dress also came with a polka-dot sash but I opted for this plain pink one because that was a little too much for me. The finishing of the dress was good actually, no complaints. I also loved the feel of the material on my body. I opted for a UK size 12 for a slightly looser fit. This dress could also double as a kimono as well! A few concerns though, the zip is questionable. I actually experienced slight issues with it the last time I wore it out. And now I'm considering either changing the zip or making sure I wear proper undergarments when next I wear the dress. I really do hope our Nigerian designers find a way to access better quality zips because this seems to be an issue across various brands. The fabric of the dress surprisingly faded slightly when washed, so there's that too. Overall it is a lovely dress and design too. 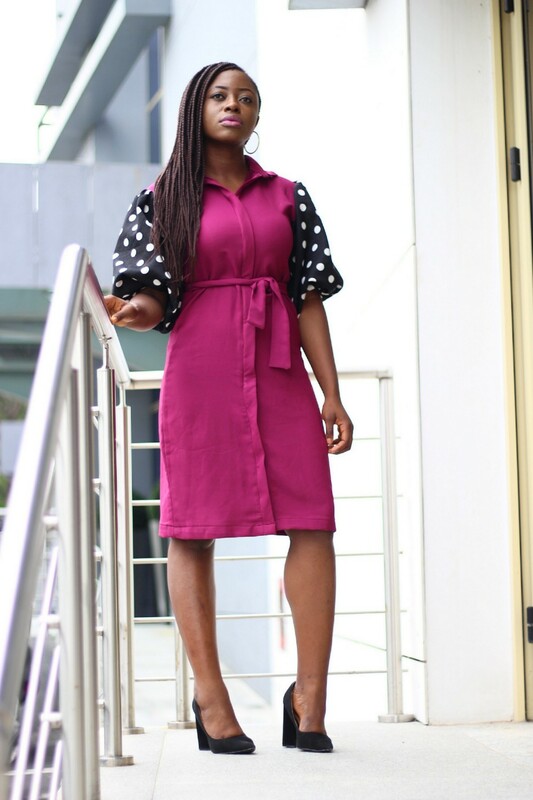 I love how House of Loocz, is changing up the conventional work-wear style. 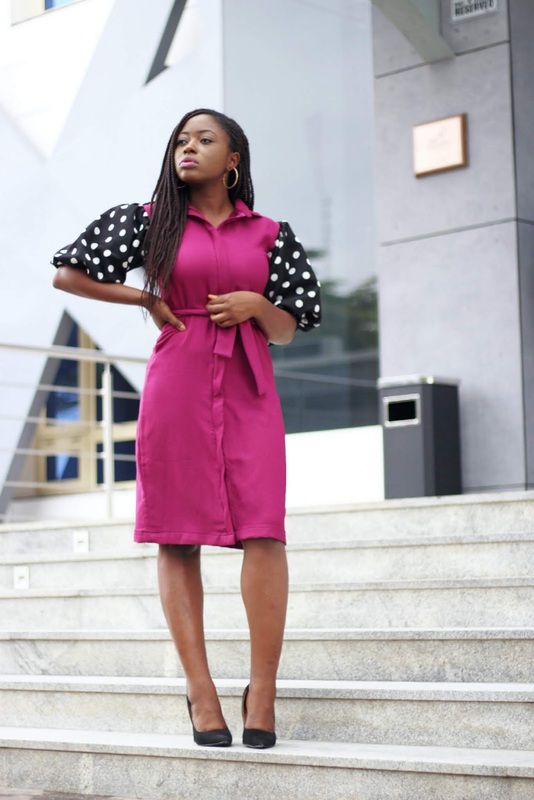 The brand retails dresses from 12-15k which is not necessarily expensive but not affordable for the middle-income earners either. They also stock UK size 6-18, so there's something for everyone! This particular dress costs 12,500 Naira. 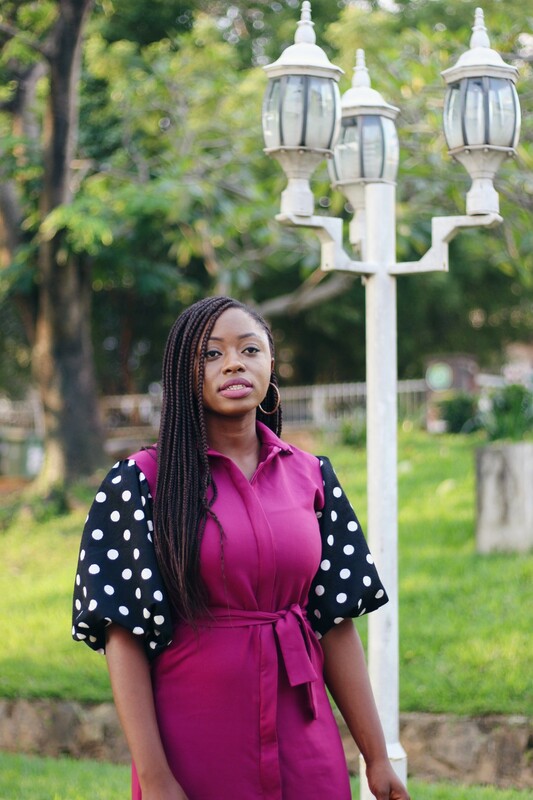 Just in case you are new to this blog, in the last few posts, I've been styling strictly Nigerian brand's and sharing my thoughts on them. 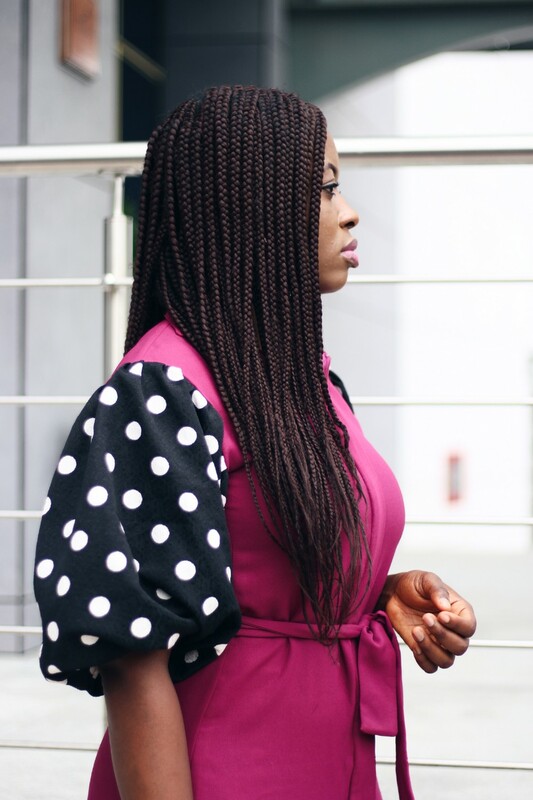 Catch up on the series at Made in Nigeria if you missed previous posts. You can also follow my hashtag on Instagram #madeinnigeriabyprincessaudu to stay in the loop! 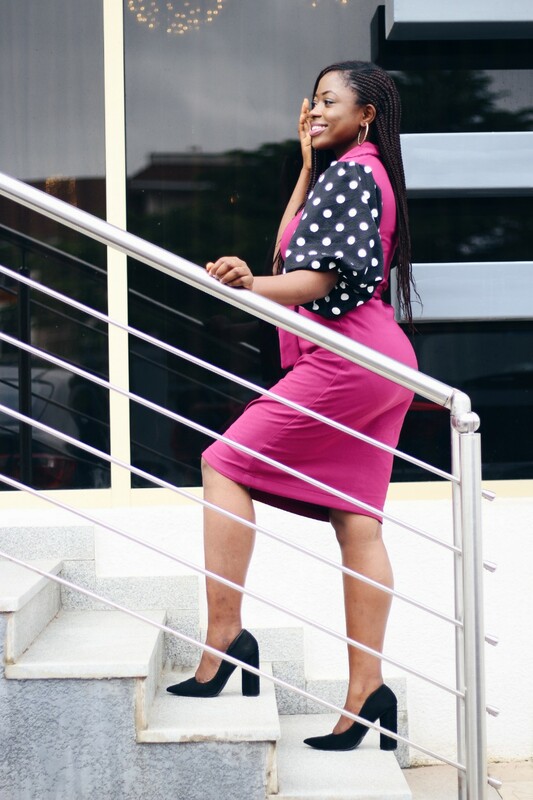 If you're looking for a women's brand that offers ready-to-wear work-wear pieces for the modern woman then, House of Loocz is your plug! 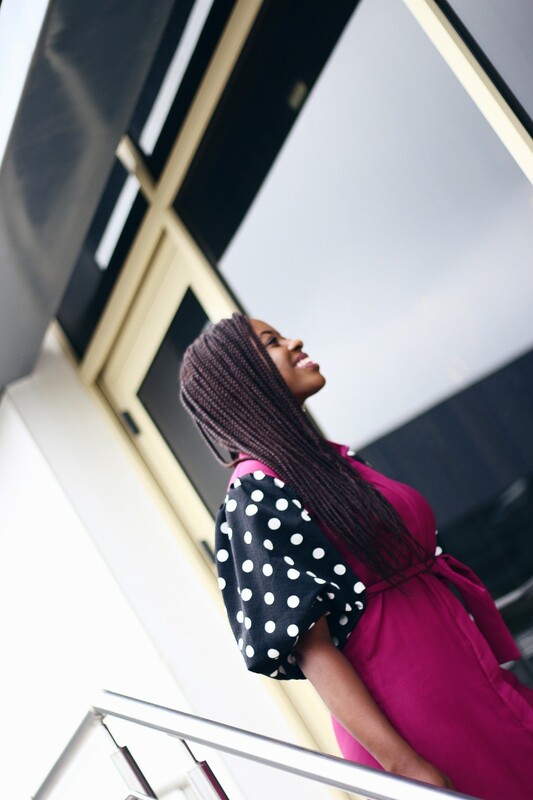 This post was is in collaboration with House of Loocz, thank you for working with me on this. Quite elegant. The price is on the high side though.